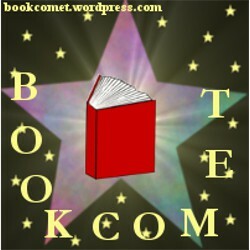 Welcome to the BookLikes version of Bookcomet! Welcome, welcome *said in Effie Trinket's voice. You must know what I'm talking about.*. Here you can expect to find reviews of books I rate 4 stars or over (my blog blog gets everything) and discussions. Perhaps even other posts I like! I absolutely adore gushing over and just talking about books in general, so don't be afraid to drop me a comment!